Soybeans have long been an important part of the Japanese diet. They are enjoyed in many forms — as edamame, tofu or yuba; boiled or roasted; ground up as flour; and so on. Soybeans also have religious significance, as we’ve seen this month during Setsubun, when roasted soybeans are thrown to signify the driving out of bad spirits. 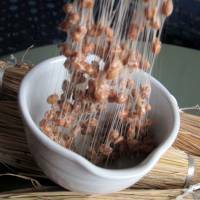 There is one form of soybean, however, that is quite infamous: the sticky, pungent fermented version called nattō. Its gooey consistency and extreme odor can be baffling to Westerners, and it’s far from universally loved in Japan as well: People from the west and south of the country tend not to like it. But people from the east and the north usually love it: the sticky-stringy texture, the fermented-cheese-like flavor and all. 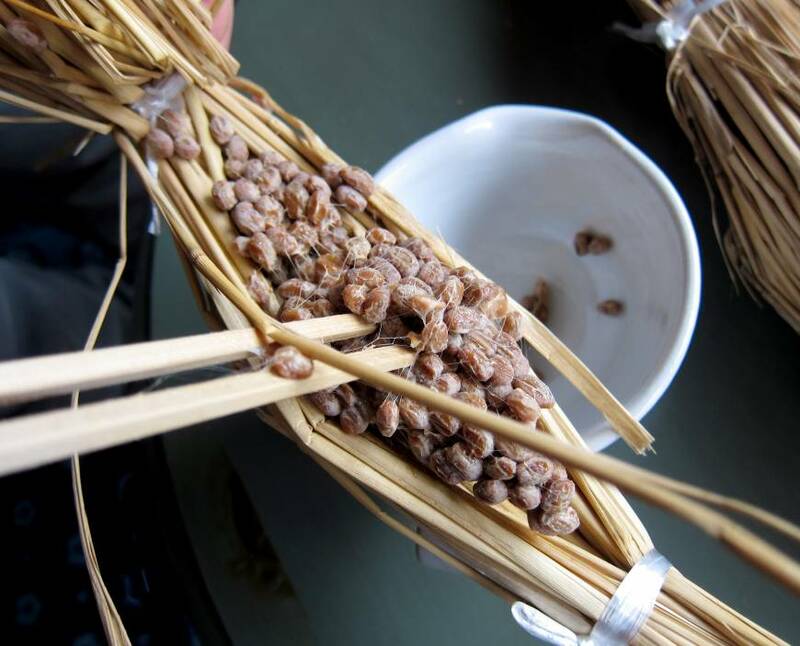 It’s not quite certain when or who first discovered that wrapping cooked soybeans in rice straw for a while would make them ferment and become soft and sticky. The earliest written record of nattō is from around the mid-11th century, but it is fairly certain that the food itself existed way before then. The bacillus bacteria that turns soybeans into nattō, bacillus subtilis or bacillus nattō, lives on rice straw, and since both rice and soybeans have existed in Japan since prehistoric times, it’s quite likely that nattō has been made since then too. 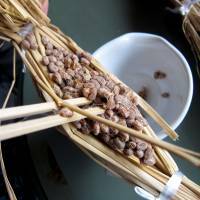 My mother remembers her mother still making it the old-fashioned way by wrapping boiled soybeans in straw and keeping them in a warm place for a few days, but commercial nattō is made using an isolated culture in sanitized factory conditions — which, according to some, saps the food of a little of its character. Nattō is something of an acquired taste, especially if you didn’t grow up eating it. But there are a lot of good reasons to try it. Whole cooked soybeans are packed with protein, fiber and other nutrients, but the fermentation process makes nattō even more beneficial to health: It adds probiotics to the diet, which helps with digestion as well as strengthening the immune system. It’s also packed with vitamin K, which is found in leafy greens and organ meats, as well as vitamin PQQ (pyrroloquinoline quinone), which may help your body’s cells to metabolize. You can counteract the unique pungency of nattō by adding such aromatic ingredients as chopped green onion, grated ginger, wasabi or mustard, and even sesame seeds. (That’s why most store-bought nattō comes with a little packet of mustard.) The sauce that comes included usually contains dashi stock, which also counteracts the flavor. Cooking, too, helps to dissipate the pungency; try using it in stir fries. Adding it to a dish with tomato sauce or curry will make the nattō-ness almost disappear. If you’re a vegan, nattō may be of particular interest as an easily digestible protein source. Try chopping it up and using it in place of ground meat. 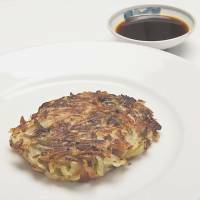 In the recipe to the left for a kind of nattō rosti, the pungency of the fermented beans is reduced both by cooking them and by adding green onion and sesame oil, plus the yuzu sanshō in the dipping sauce. The starch in the potatoes and the stickiness of the nattō hold the pancakes together without any egg or flour binder. Use either whole-bean or split-bean (hikiwari) nattō. If, like me, you enjoy the cheesy pungency and sticky-stringiness of nattō, then there’s no need to cook it at all; try eating it straight from the pack, seasoned with salt, instead of the usual soy sauce. 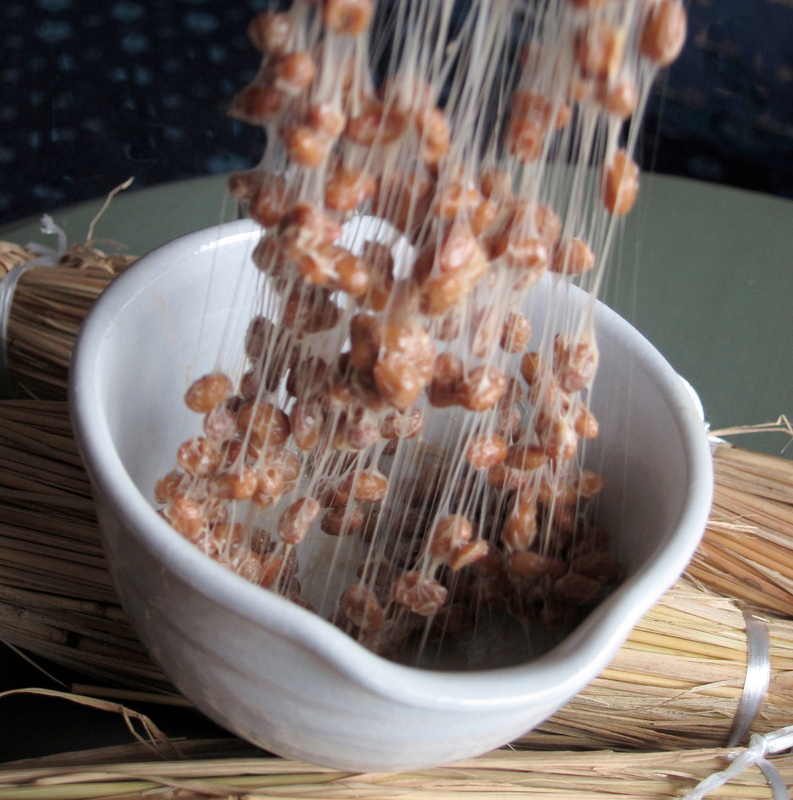 Make sure to mix the beans vigorously to fully develop the sticky strings — that’s part of the full nattō experience, after all! 1. Peel and shred the potatoes. Wrap the shredded potato in several layers of paper towels, and squeeze tightly to eliminate as much moisture as possible. 2. Mix the nattō with the sauce packet and the green onions. Add the shredded potato and mix well. 3. Heat up the vegetable and sesame oil in a frying pan over medium heat. 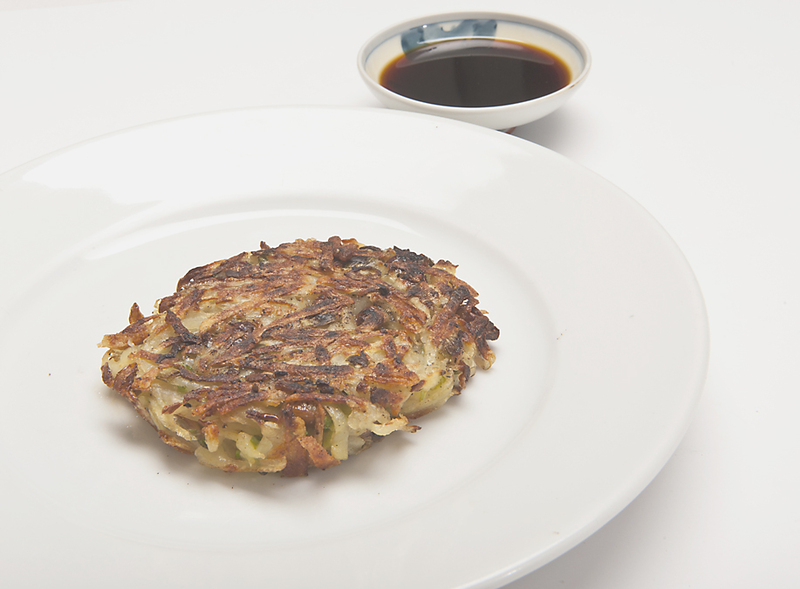 Divide the potato-nattō mixture into four portions, press into flat pancakes and drop into the hot pan. Cook until golden brown, then flip over, reduce the heat to low-medium. Don’t let the pancakes get too brown. 4. Serve with soy sauce and a little yuzu sanshō paste, or the mustard that comes with the nattō. Alternatively, brush the pancakes on the surface with soy sauce (this method is good to use if you’ll be serving them cold, in a bentō for example).